Everyone enjoys a new appliance, but nothing is as satisfying as a brand new oven. New ovens are not only beautiful – the food one can cook in a new oven is just out of this world. If you want to keep eating tasty and deliciously smelling food, you’ll have to take care of your oven. But cleaning the oven is hardly an activity everyone enjoys to do. It’s inconvenient and the oven doesn’t provide good ventilation; and since most oven cleaning products are very toxic, you can seriously damage your respiratory tract if you inhale the fumes from these cleaning products for a prolonged period of time. That’s why we offer our help. Our professional oven cleaning services can be yours throughout the week and also on bank holidays, too. 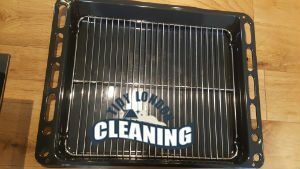 Our cleaning company was established in Camden Town more than five years ago and thanks to our professionalism and diligence, today we’re one of the leading oven cleaning companies in NW1. Contact us and book today, we guarantee you won’t regret it. We work with modern cleaning products. They are completely toxic chemical-free and we guarantee no dangerous residue will be left behind. With us, the cleaning of your oven is not a mere cleaning, because we won’t just clean your oven – we’ll increase it’s lifespan, too. Rely on us if you want to preserve the new condition of your oven. Our technicians are experienced professionals. Each of them has more than a year work experience. We’ve taught our team special cleaning techniques; our staff can disassemble and reassemble all kinds of ovens quickly. We won’t clean just the visible parts of your oven because we know that grease and grime won’t accumulate only on the visible parts of your oven. And that’s why our team can take your oven apart – to clean it completely, without missing any spot. You can clean perfectly every area of your home but when it comes to the oven, you would certainly hire a specialist? 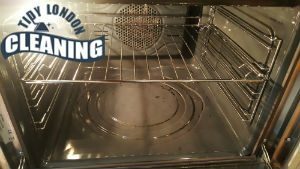 Give us a call and we will schedule a professional oven cleaning for you that ensures a complete removal of grease deposits and leaves every component gleaming. The good news is that our skilful cleaners are ready to assist you all week round in Camden Town and the nearby areas. With us your oven is in good hands. Rest assured that our cleaner will inspect its condition before and after the cleaning. They won’t leave a mess or pollute your living space with any harmful cleaning products.